When I reached out to Tolga, to find out some more about his calligraphy work, I was really surprised. It seems calligraphy is just a hobby for him. Tolga lives in Eskisehir, Turkey, because of his work. He is actually a full time Electrical and Electronics Engineer. In the past 2 years he started to take calligraphy in a more serious manner, and invest more time into it. The results are showing. 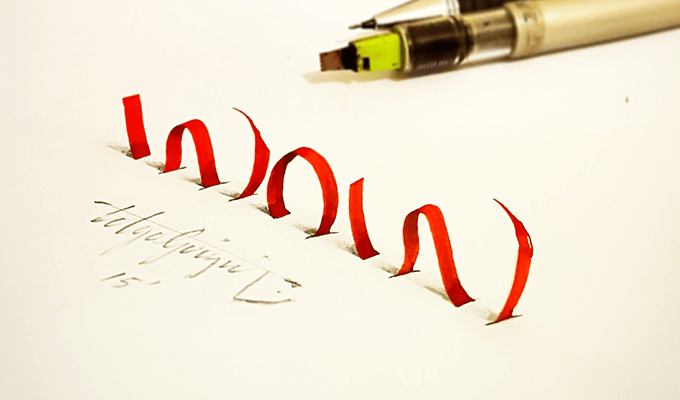 The post Virtuoso Calligrapher Forms Stunning 3D Anamorphic Letters, Meet Tolga Girgin appeared first on ilikethesepixels.